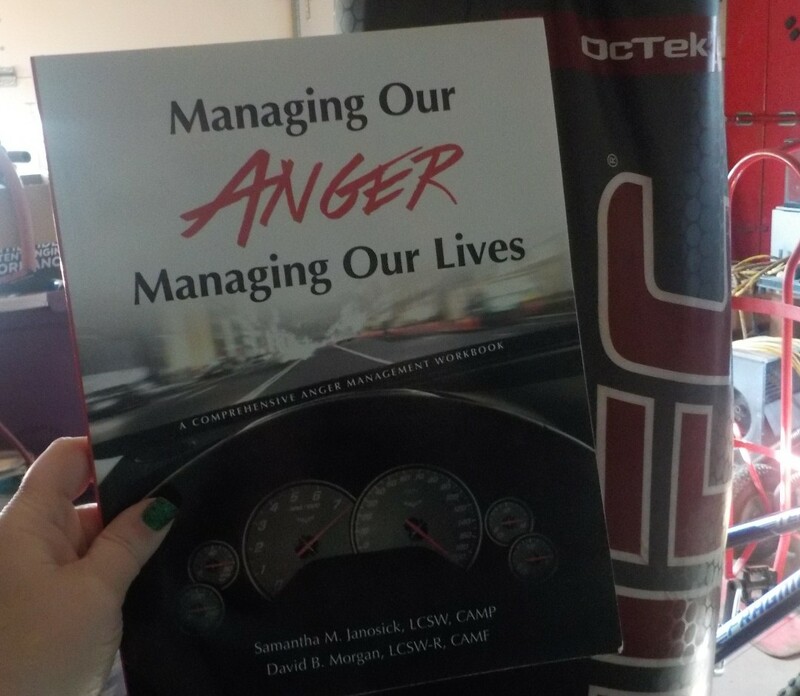 Managing Our Anger is a guided workbook for clients going through anger management classes. There are short lessons for topics ranging from how anger works to expressing emotions and coping skills for use when feeling triggered. Each lesson has an exercise that the client can complete on their own or with you and there are daily check-in sheets at the back. Samantha M. Janosick LCSW, CAMP and David B. Morgan LCSW-R, CAMF are clinical social workers at the private practice in Long Island that David manages. He is a certified anger management facilitator and she is a certified anger management professional. They also authored Training Your Anger Monster: A Top Secret Manual, an anger management workbook for kids. You can learn more about Samantha and David here. I really enjoyed the way the authors took time to explain concepts. Although the book is designed for people who may have made big mistakes in anger, it isn’t judgmental. Some of the science behind anger and the coping skills they suggest is explained in easy to understand language. Managing Our Anger includes exercises for every lesson and then several daily practice sheets. I thought all of the worksheets were great but I especially liked the daily ones. Those were simple enough that, with some reflection, clients could put into practice the skills they have been learning but they were long enough to force some time spent reflecting. It seemed like they hit the perfect balance there. I liked this workbook but I think it might be less effective when used by a therapists not trained in the approach. The lessons are simple but I felt like I would need more guidance about implementation before I could confidently use it as a guide to sessions. As an addendum to therapy, I would be completely comfortable using it. Managing Our Anger: Managing our lives is designed to be used in groups facilitated by certified anger management professionals. You can find more resources and learn about the program here. If you know of another planner or a book we need to review, let us know here or tell us about it in the comments. Make sure you’re also following The Therapist’s Bookshelf on Facebook and Instagram.